The Dodgers held their Dodgers Foundation Gala last night and by all accounts it was a fun and worthwhile affair. 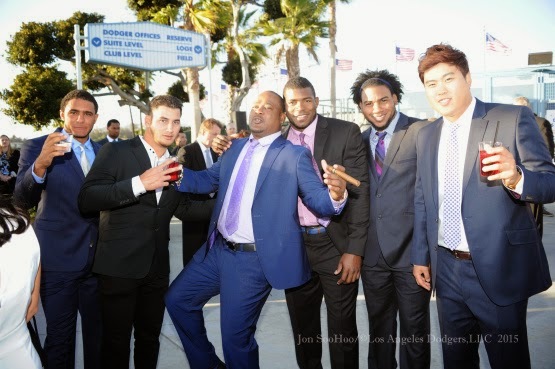 The boys were able to get together and let loose a bit by downing some drinks, sharing a stogie with Uribe and wearing some outrageous outfits for a fashion show. Fun was definitely had by all. The photo above was taken by Jon SooHoo. Go here to check out more pics from him, Juan Ocampo and Jill Weisleder from the evening. The Dodgers apparently have their sights set on Cuban righty Yadier Alvarez, via Kiley McDaniel at FanGraphs. The expectation is that even if Alvarez is granted the waiver that he will wait until July 2nd to sign. This is due to the persistent rumors that the Dodgers will be blowing past their international bonus pool for 2015-2016 (starting on July 2nd), with Alvarez their top target. Via Steve Dilbeck at the LA Times, 'Dodgers' Joc Pederson showing what the excitement was about." What a strange game of musical chairs. The day after being called up to Los Angeles Carlos Frias has now been optioned back to AAA. That leaves an open spot to the 25-man active roster, so expect a move soon to replace him in the bullpen. "All hell broke loose," Amalfitano said. "All the guys came out of the dugout. I was going to home plate and stopped and said, 'Wait a minute, this one's going down in history.' So I went back to third and shook his hand." Amalfitano pounded Gibson once, then twice, in triumph. "He said to me, 'Back-door slider, Joe,'" said Amalfitano. Via Ian Denomme at Big League Stew, "Bryan Stow takes big step in recovery, throws out first pitch at minor-league game." 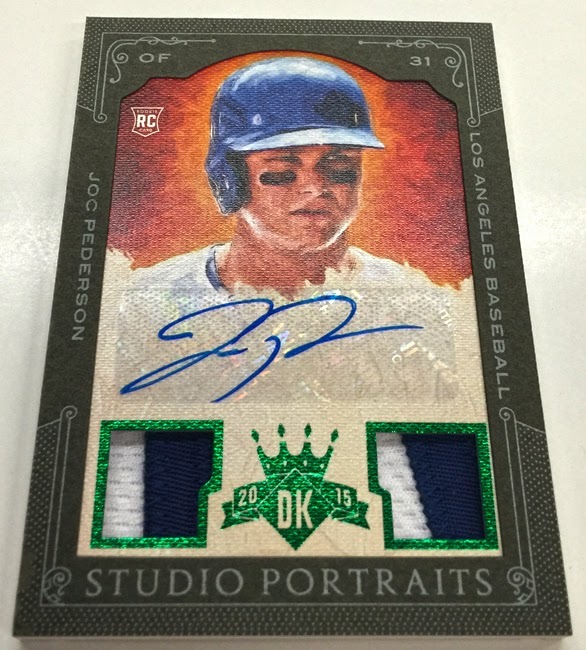 Panini has released a bunch of preview pics from their upcoming 2015 Diamond Kings Baseball set; including the Joc Pederson and Corey Seager cards below. 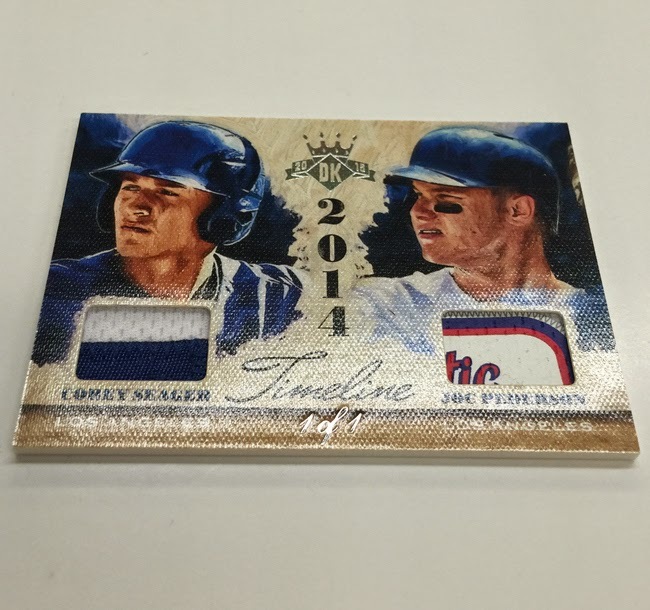 Go here to check out more pics from Panini. The set officially releases on April 29th.